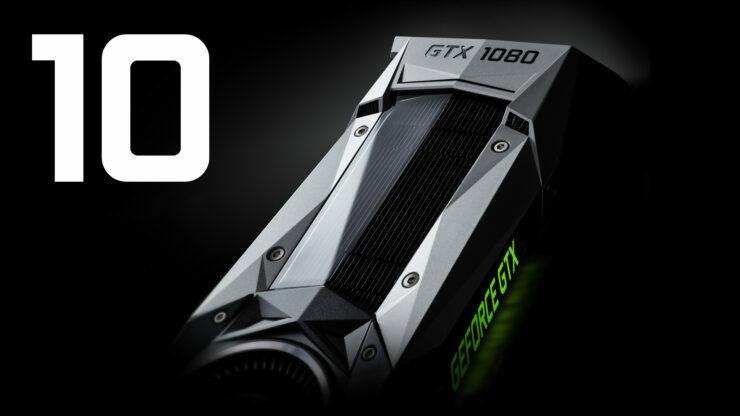 NVIDIA has just announced that their GeForce 10 series cards are back in stock and available for sale directly through GeForce webpage. For users who are looking to get the best gaming cards right now, the GeForce 10 series which are available for reference MSRPs offer insane gaming performance in a multitude of AAA titles. The GeForce 10 series stack that has been restocked includes the GeForce GTX 1080 Ti, GeForce GTX 1080, GeForce GTX 1070 Ti, GeForce GTX 1070 and GeForce GTX 1060. All graphics cards are available at the reference MSRPs and users should expect a maximum of 1 week shipping time for their purchases to land right at their doorstep. 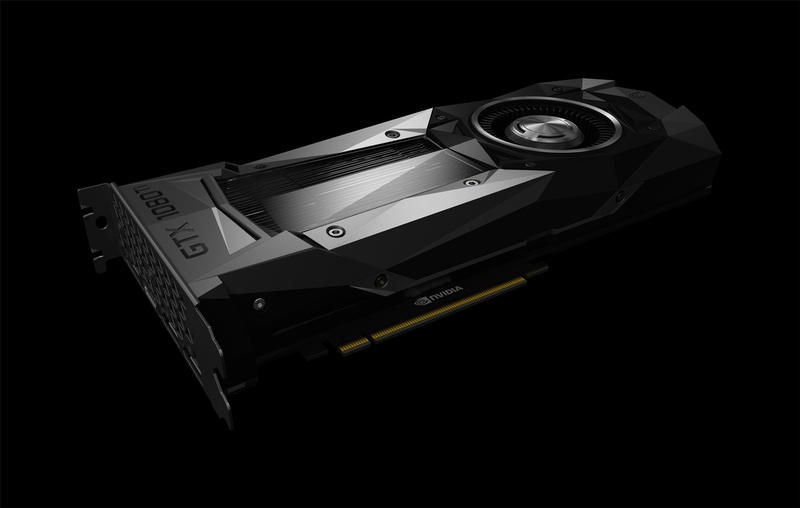 NVIDIA’s GeForce GTX 1080 Ti still remains the undisputed champ in gaming performance, even a year after launch. 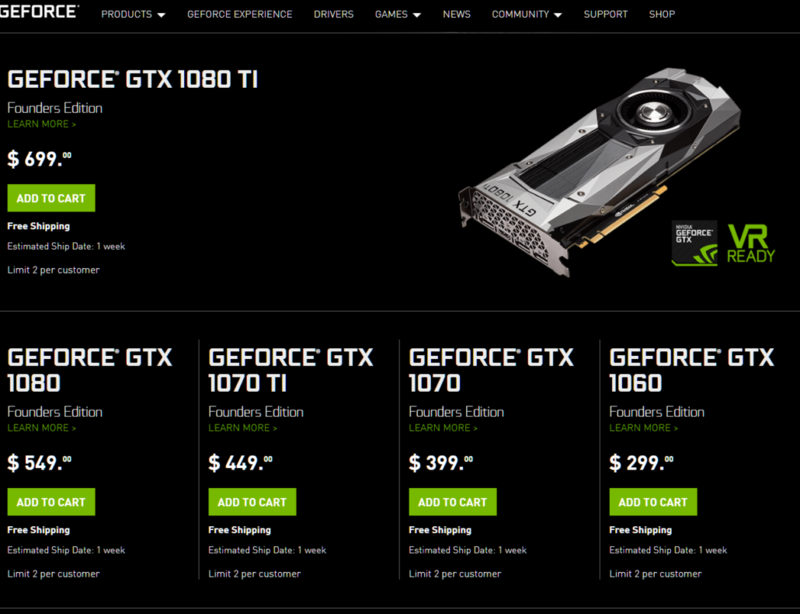 GeForce GTX Back In Stock! With record May temperatures hitting across the globe this week, how about staying nice and cool inside by playing your favorite PC games? With recent updates to Fortnite, PlayerUnkown’s Battlegrounds, Destiny 2, and the release of Final Fantasy XV, there’s never been a better time to indulge that gaming passion! If you’ve been waiting for the right moment to pick up a GeForce GTX 10-Series GPU, now’s a perfect time! With great availability across retailers at prices gamers can afford, there’s never been a better time to upgrade your gaming rig and be the last one standing. Arm yourself with the game-changing performance that only GeForce GTX 10-Series graphics cards can deliver. They give you the competitive edge you’re looking for in even the most challenging title. Fast, powerful, and made to the game, GeForce GTX 10-Series GPUs are now available from your favorite e-tail or brick and mortar stores today. The restock around this time makes sense since the mining craze has gone silent and more GPUs can now reach gamers instead of mining rigs. Purchasing from the GeForce webpage also ensures that you are paying the reference MSRPs with no price gouging that retailers at the moment may push for. Even as of right now, while GPU prices are dropping, they still aren’t at the levels they are supposed to be considering some of these graphics cards have been in the market for over two years now (GeForce GTX 1080 / GTX 1070). These graphics cards are surely great for gaming but for those who can wait a bit more, NVIDIA may launch or announce their next-gen GeForce lineup in the coming months which will prove to be a significant performance jump over their Pascal based predecessors. It’s up to buyers to either wait or just grab the current best graphics card which suits their needs and call it a day.